Erlanger Health System honored Georgia Speaker of the House David Ralston and Georgia State Senator Steve Gooch for their support of LIFE FORCE air ambulance service in the Blue Ridge area of North Georgia. Erlanger is the closest trauma center, accredited stroke center, and full service children's hospital for many North Georgians. 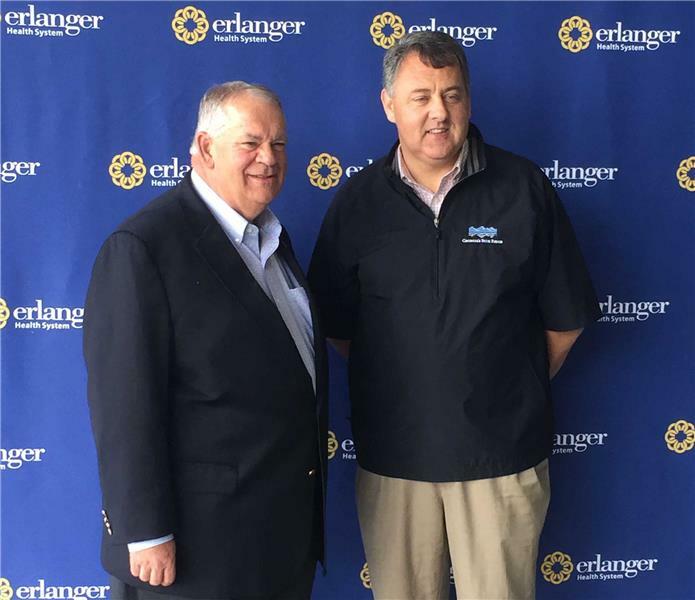 Nearly 20% of Erlanger employees and about 20% of Erlanger patients are Georgia residents. “We always want to show our appreciation for elected officials inGeorgia who represent so many of our employees and patients,” Mr. Johnson added. 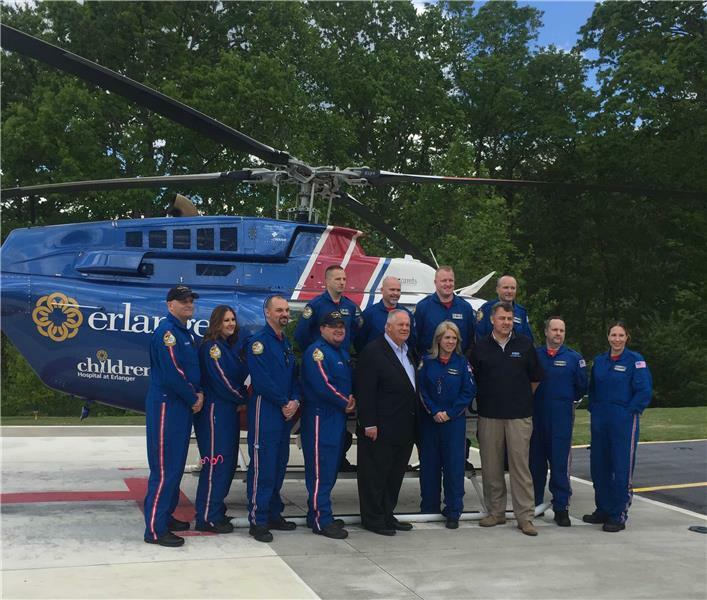 Speaker Ralston and Senator Gooch received a tour of the hangar and met the LIFE FORCE crew during their recent visit to the LIFE FORCE facilities in Fannin County. In addition to the Blue Ridge base, LIFE FORCE operates four other bases throughout the region to serve residents within a 150-mile radius of Chattanooga: Calhoun, Ga., and Sparta, Winchester and Cleveland, Tn. LIFE FORCE transported 1,555 patients during fiscal year 2014-2015. Erlanger’s LIFE FORCE provides the clinical team for medical operations and Med Trans Corporation provides pilots and mechanics for the aeromedical service. Med Trans equips the LIFE FORCE fleet with Airbus EC-135 helicopters and Bell 407 helicopters.